If I Can Get Past . . . In busy times, I chunk up my responsibilities. If I can get past Presbytery Leader Formation . . . If I can get past my installation . . . If I can get past General Assembly . . . This strategy helps to a point, but I miss out on the present. I wanted to relish the green that was all around me during PLF. I want to take in every minute when I’m officially installed into my new call Tuesday. And I definitely want to absorb every beautiful second of my last moments as Co-Moderator of the General Assembly. Mothers’ Day Moment: I remember my mom telling me not to wish away my children’s childhood. She only lived two months into FBC’s life, but I probably said something to her like, “I can’t wait until he can sit up” or “I wonder what his voice will sound like.” There would be time for all that. Relishing each moment sounds trite, but it’s healthier than rushing through moments. What are we hoping to get past? What are we working on now that will be over soon? What deadlines are we dreading? Those days up until The Day are kind of wonderful too. We don’t want to look back and realized we missed the good parts. Happy Mothers’ Day everyone. If we’ve ever mothered anyone or anybody’s ever mothered us, we get to celebrate. 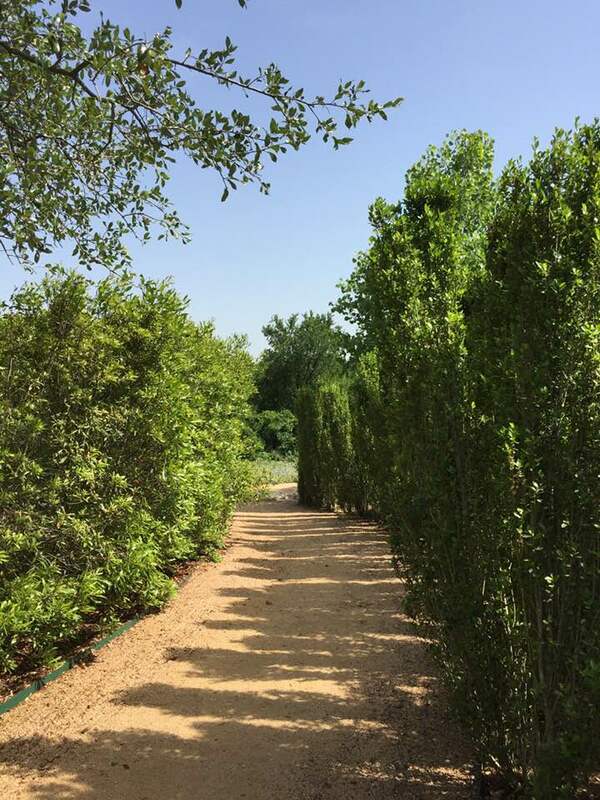 Image of a path in the Lady Bird Johnson Wildflower Center outside Austin, TX.